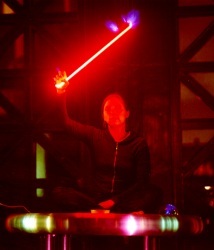 Above left: A performer lights up a neon tube with electricity flowing through her body. 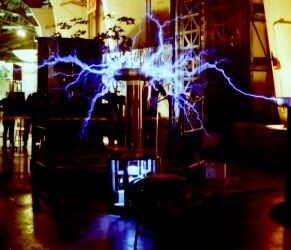 Above right: A Model S-5 unit as seen at The Exploratorium on December 13, 2000. 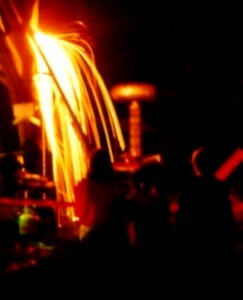 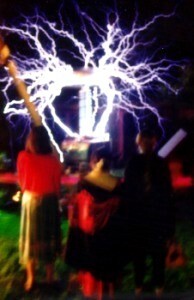 Above: Photographs taken at one of our Halloween performances, which included a demonstration of a Model S-15 Tesla Coil and several prototype devices.